Mrs. Miner's Kindergarten Monkey Business: A Thank You to My 100 Folllowers! A Giveaway For You! A Thank You to My 100 Folllowers! A Giveaway For You! I never thought my little blog would end up with 50 followers, let alone 100! Thank you for all of my followers I have gotten in just the last 2 weeks. I appreciate all of the comments and the support! Thank you to Teaching Blog Traffic School and Charity Preston for giving me all the assistance and help that I need to get my blog up and running! visit my TpT store and pick out anything for $5.00 or less (most of my products fall in that category anyway). Enter quick, the giveaway ends Friday evening 5:00 E.T. Follow my blog if you haven't already AND follow my TpT store by clicking my banner below. Next, you can leave a comment with the $5.00 product name and your email address and I will send it out to you by this weekend. If you post this to your blog or add me to your blog roll, you can have $10 worth of products as my thank you. Thank you for the generous gift opportunity! I would love love your Popcorn Word Fun unit! I will just be starting my second year of teaching, so I'm still collecting all these great ideas and taking my spin on them! I agree with Sarah--I would like the Kindergarte Stamping Centers Ready to Go Literacy Centers Set 1. I am still trying to figure out how to follow a blog, but I have listed you as a favorite seller and following you on TpT! Thank you so much for the opportunity to get to know your great work! Thank you so much! I would love the Kindergarten Stamping Centers Ready To Go Literacy Centers: Set 1. I just started following you a few days ago and now I follow your TpT store! Thank you so much for your generosity! I would love your Fine Motor Alphabet Literacy Centers to go. I just know my kinders will love poking the papers! Hi! I would love the popcorn words pokey pin! Thank you!!! Sorry I had to repost due to auto correct on the iPad! I follow both your blog and you TpT store!! I would love your Fine Motor Alphabet Literacy Centers To Go For Kindergarten / 1st activity. I follow your blog and your TpT store. 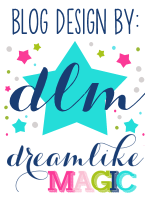 You're on my blogroll and I blogged about your awesome giveaway!! I'd love to have "Kindergarten Stamping Centers: Set 1" and "Popcorn Pokey Word Pin Centers". THANKS again for this generous giveaway! I follow your blog & your TPT store. I put you on my blogroll. I'd love to have the K/1 Word Family Literacy Centers. Awesome giveaway! I follow your blog and TPT store. I also added you to my blog roll and blogged about this. I'd love the Fine Motor Alphabet Literacy Center to Go & Popcorn Word Pokey Pin 29 Weeks of Centers. Thanks! I follow both your blog and TPT store. Thanks for the generous give away! You things are so cute! I would love your Kindergarten stamping center and ready to go literacy! Thanks -- I can't wait to see what you do next! Thank you for the freebie! I would love to have Kindergarten Stamping Center Ready to go Literacy Center: Set 1. Thank you ! My two favorites in your store right now are Popcorn Word Pokey Pin 29 Weeks of Center! and Set 2: Fine Motor ABC Word Centers To Go. Thank you, Thank You, Thank You. I am going back to Kindergarten next year not by my choice and you are helping to make my transition back to Kindergarten so much easier. I am begining to get excited about the move and using your pokey pins files. I follow your blog and your TpT store! I would love your K/1 Word Family Lit Centers-Nonsense Vs. Real Words. Thank you so much! Hope I am not too late! Tried to post this yesterday and it just wouldn't let me. Thanks for a great blog and give away! I now follow your blog and TpT store. Thank you for a great giveaway! I would love the fine motor alphabet literacy centers to go! I know my students would love this! Thanks! Okay, I hope you all got your product! Katy, I need your email address so I can send you your Stamping Centers. If you didn't receive yours, please let me know immediately and I will send it out. Also, check your SPAM folder, as it may have gone there!